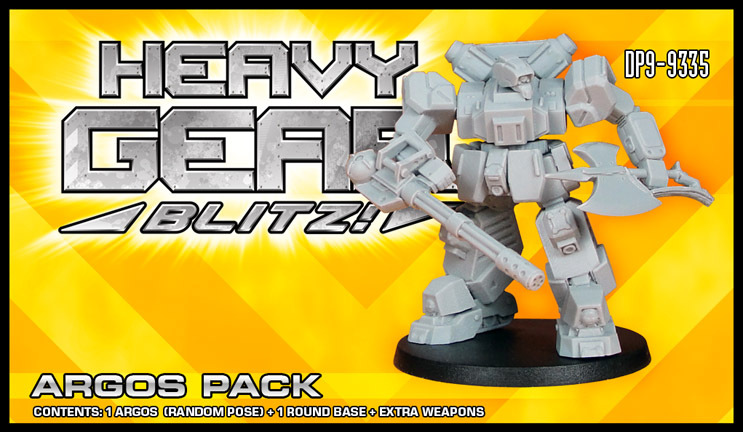 The new Argos miniature for Heavy Gear Blitz's Peace River faction is now available for Order on the Dream Pod 9 Online Store. Orders will start shipping next Friday (September 26th, 2014). Here is a direct link to it's ordering page for all interested.